During my last conversation with Lois, from the 50 States Marathon Club, she put me onto the Toledo Road Runners so I was excited to learn more, after all I consider Ohio as my second home. My parents are from Euclid and I still have a lot of relatives up there, so I reached out to both leaders of the club and I got a hold of Rob Simon. Rob told me that he is currently preparing for a 100 miler in September, the last one he ran took about 28 hours. I asked Rob what got him into running, Rob said ‘At a Nascar Race at the Atlanta Motor Speedway I ate a ton, my chest felt heavy and I didn’t feel good. So I visited a doctor and nothing was wrong with my heart, which was a relief, but he told me I just needed to lose some stress. My career as an engineer produced a lot of stress,’ Rob replied. ‘So I started to run and my first run was a 3 mile course but I could only complete 1 mile. Fast Forward, 10 years to the day I am still running. I started feeling a lot better. 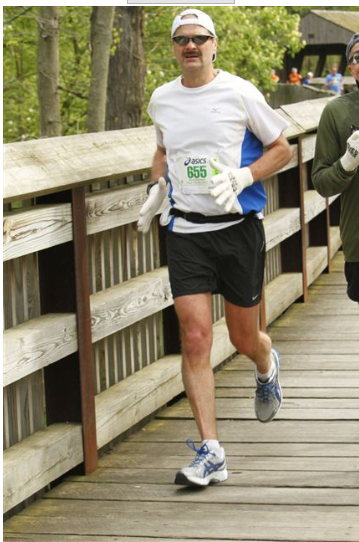 I started doing 5k’s and I lost 15 lbs and it’s a better healthier lifestyle,’ Rob stated. ‘Basically I was drinking a case of beer a week to not very much now and I went from taking naps at lunch to not at all. I’ve met a lot of great people from running. Runners are a great willing group as everybody is out to help each other. I’ve had nothing but great experiences with events, for example during one of my events someone gave me their headlight as I forgot mine. I found that to be very typical within the running community, everybody is helping each other,’ Rob said. ‘When I first started running I became aware of a group called the Toledo Road Runners so I decided to join and make friends. I then started to go to meetings and I really liked it, so one year I got nominated to be on the board. I was a member for about 6-7 years and now I just started as the club VP,’ Rob replied. So I asked Rob how much running he does per week, Rob said, ‘Out of training I run about 30 miles per week and in training I do about 50. I am mainly focused on Ultra Distances. I’ve done a couple 50ks and I want to do longer distances’. ‘Part of running in events is the experience I get, lately I have been helping other runners and I actually helped a couple runners PR, to me this is just as rewarding if not more rewarding than breaking one of my own accomplishments. I’ve run in four marathons the last year and a half and I ran with someone at each event and they all got a PR, to me this is rewarding!’ Rob stated. I asked Rob about some of his most favorite events, Rob said ‘Boston is number two and my favorite is the burning river 100, which was my first 100 miler’. I asked Rob if he tracks his distance, Rob said ‘I have an excel spreadsheet and a garmin, but I rarely share my runs with others. I started tracking in 2007 and I have completed over 10k miles since I started running 10 years ago’. So I asked Rob what advice would he give to a new runner, Rob said ‘Be patient with yourself and enjoy the moment with all the people that you’ll meet on runs, don’t be afraid to sign up for that first 5k, take a chance on running it’. Rob went on to tell me ‘I was also a race director, so I have experience on both sides of the coin, it was a 10 miler,’ Rob said. So we chatted a little more about the Toledo Road Runners, Rob said, ‘There are 1500 ‘great’ members and we are a non profit with yearly membership fee’s. We do some club events and we help with other races, loan out equipment, etc.. We have a monthly newsletter. We encourage our members to go to toledo metro parks as they put on a lot of events. We’ve given about $80k of proceeds to charities, annually, along with small grants to community organizations such as shirts to running groups. And for 2016, Rob said ‘ I plan on applying to a few ultra lotteries that are hard to get into and I hope to get picked. I also plan to participate in the Dream race which is western state 100 mile endurance run. I plan on doing my first triathlon and 3-4 marathons that I haven’t run before as I am just looking for a variety. Also it is going to be the 40th Glass city marathon so we have some really cool things planned for it that I am really excited about! Thanks Rob – it was great chatting with you and good luck the remainder of the year!!! Keep in touch..
Have you ever wondered why someone would run a marathon? Or where a marathon originated from? The length of an Olympic marathon was not precisely fixed at first, but the marathon races in the first few Olympic Games were about 40 kilometers (25 mi), roughly the distance from Marathon to Athens by the longer, flatter route. The exact length depended on the route established for each venue, for more on the history of Marathons visit this cool site – Athens Marathon. Personally, I have participated in only ‘one’ marathon, the Chicago Marathon, which happened October 10th, 2010 — 10/10/10 – Pretty cool! It wasn’t a perfect ’10’ for me by mile 3 my back cramped up and it wasn’t till Mile 14 it loosened up, by that time the damage was done. It probably didn’t help that I just completed a Half Iron-Man two weeks prior as my body didn’t get much rest. After I completed my first Marathon I thought no more, that was the hardest thing I ever did! So you could imagine my surprise when I learned about the various marathon groups that existed, such as the 50 States Marathon Club– which is a group that basically has a bucket list to run in every state. Their club has roughly 3,768 members in all 50 states, DC, and 13 foreign countries! Their members have run a combined total of more than 229,000 marathons! ‘WOW’. I came across this club three blogs ago, it started from my conversations with Scott Alexander with the Nolensville Run Club where he told me about Todd Oliver the event director for the Carmel Marathon, who belongs to this club. So I wanted to learn more. So I reached out to Lois Berkowitz who is the President of the 50 States Marathon Club. She told me the club incorporated in 2001. She was an amazing lady to talk with as she had some pretty amazing stories. I could’ve spent the whole day chatting with her. I asked her when she started running, Lois replied ‘I started running October 26, 1978. I was unmarried, living in Toledo. I had a boss that ran 5 miles a day and I was looking to do something. I got in an argument with a neighbor and I stormed out the door – running and I didn’t look back. Within six months I was running 10 miles a day,’ Lois replied. ‘I didn’t start racing till the 80’s and my first event was a run put on by a small hospital in the community. I also joined the Toledo Roadrunners Club – which has 1500 members (some are walkers).’ Lois said. I asked Lois what she did for a living, Lois replied ‘I worked at a Mazda plant in Flat Rock Michigan. I was in HR, recruitment and then moved into training. I met people there that were runners, and one went with me to run the Glass City Marathon, which I completed in about 4:20. Glass City was my first marathon and I ran in three more that year. I started to average 14-16 marathons a year. While in South Bend, IN to run the Sunburst Marathon in the early 90’s, I met Bob Schimmel, one of the original 50 & DC members, and that is how I heard about running in all 50 states,’ Lois stated. ‘By 1995 I had completed a marathon in 20 states, which was a requirement to join the 50 & DC Group. 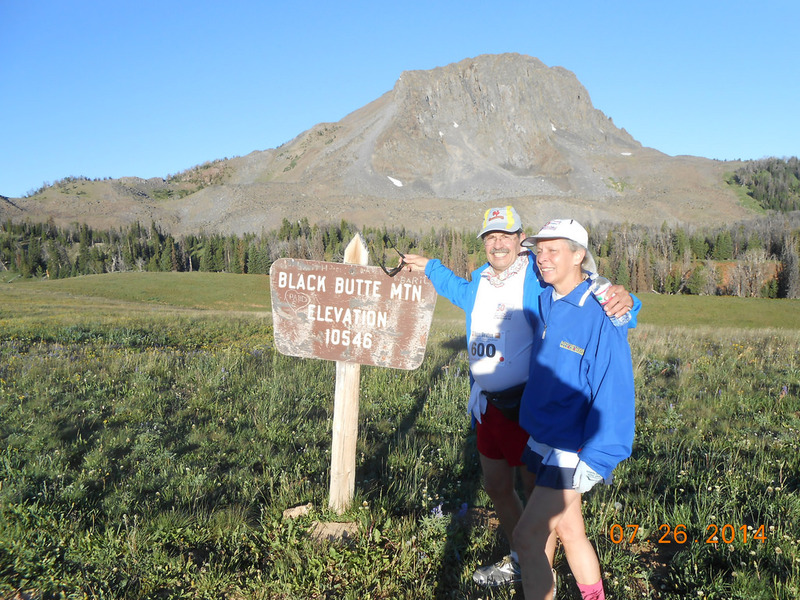 The 50 States Marathon Club formed in 2001, started by Steve and Paula Boone of Houston, TX. I was a founding member of that group and did the newsletter for the club, which we put out 3-4 times per year. I became part of the board for the club, which is a non-profit. We also have a sub-group within the 50 states club, which tries to complete marathons in all 50 states with sub 4 hour times. 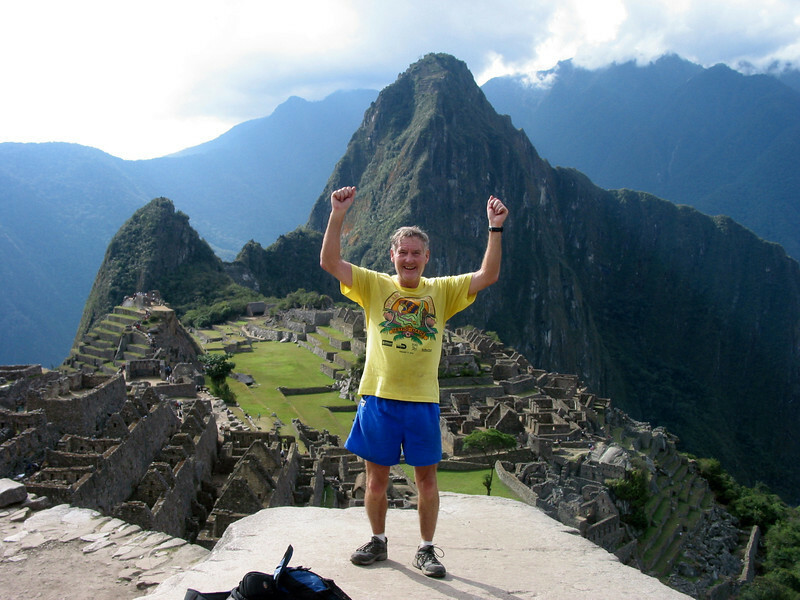 Some of our members have completed marathons on all 7 continents. We also have three 50 States Marathon Club members who have completed over 1,000 marathons – Jim Simpson, Larry Macon and Henry Rueden.’ Lois replied. So I asked Lois how she prepares herself, Lois stated ‘ Recently the side of my legs aren’t as strong, so I have been working to strengthen the hip area. I do a lot of cross-training to keep my legs strong. I do about 1 ½ to 2 hours per day of aerobic exercise. On average I do about 20 miles per week but I have never kept track of my mileage. I would just go out for an hour run,’ Lois replied. ‘The funny thing is the only exercise I previously did prior to running was jumping rope. I started running because my family had a history of strokes and I didn’t want to repeat that history. It was a form of exercise that was mine and I didn’t have to compete with others. I’ve done three Boston Marathons and one 50 miler. 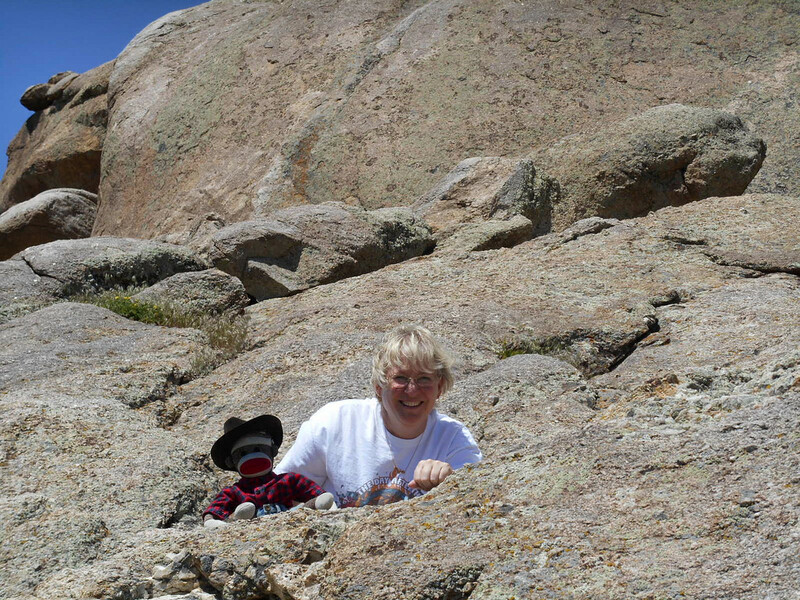 One of my favorite events was the New Mexico Ghost Town 38.5,’ Lois went on to say. So I asked Lois if she felt running helped her professionally, Lois stated ‘ When I completed my first marathon I was given a mug. So I walked in and showed it to my boss – it was immediate confidence, plus it helped me build friendships. I have friends all around the world that run from the very young to much older runners – an example is Don McNelly who is in his 90’s. My friends come from all backgrounds, medical to teachers, airline industry to military,’ Lois replied. So I went on to ask Lois what advice she would give to someone new to running, Lois replied ‘I met a guy that never ran on the road before, we got to talking and we talked about how these events are yours, nobody else. I told him to figure out his limits, everybody is different and set your goals, don’t adjust toward someone else goal,’ Lois stated. Some great advice about the accomplishments of running as it relates to personal confidence and people skills. So keep running or walking as its your journey to new places and great friendships! Thank you so much for spending time with me Lois as you truly are an inspiration and I am now thinking about my next marathon – only thinking ;-). Be on the lookout for my next blog about the Toledo Road Runners Club as I continue my journey in bringing you inspirational achievements from great people. Seeing how I spend a lot of my time promoting health and wellness I started to do a lot of research within the pet space. I came across some astonishing numbers as man’s best friend is battling one of man’s worst enemies — obesity. Up to 50% of dogs in the U.S. weigh too much. Like people, overweight dogs are at risk for health problems, from arthritis to heart disease. Research suggests people who exercise with their dogs are more likely to stick to a fitness program – The key is finding activities you both enjoy. The Journal of Physical Activity & Health found that dog owners are more likely to reach their fitness goals than those without canine companions. Researchers at Michigan State University found that dog owners are 34 percent more likely to fit in 150 minutes of walking per week than non-dog owners. The study also found that owning a dog promotes health and fitness even after you take your pup for a stroll, increasing leisure-time physical activity by 69 percent. Not only are dog walkers getting more exercise, they’re getting better quality exercise (walking faster and possibly covering more mileage), than people who simply walk or run on their own. Dog walkers are also more likely to stick to their fitness plans than those who walk with other humans or alone. Dog-owning families often promote physical activity within the household, shows a study from the University of Virginia, which found that teens from dog-owning families are more physically active than teens whose families don’t own a pet dog. With rising rates of childhood obesity, owning a dog might give kids incentive to get out of the house and spend more time outside, leading to better fitness levels—thereby lowering the incidence of disease—later in life. Dogs can improve mental health and social relationships. Researchers at Central Michigan University found that when a dog is present in a collaborative group setting, group members rank their teammates higher in terms of trust, team cohesion and intimacy. Being close with a dog helps improve human relationships. Studies find that owning and walking a dog increases social interaction. Dogs help ease people out of social isolation or shyness, says Nadine Kaslow, PhD, professor of psychiatry and behavioral sciences at Emory University in Atlanta. Children who experience caring for a dog have higher levels of empathy and self-esteem than children without pet dogs, shows child psychologist Robert Bierer. And children who practice reading to a dog see a 12 percent improvement in reading skills over a 10-week period when compared to children who didn’t read to a dog (who showed no improvement). Brisk walking is an ideal exercise for human and hound. The benefits include a stronger heart, lower blood pressure, more energy, denser bones, and a lower risk of depression. In dogs, regular walks can also reduce common behavior problems. There’s no set rule for how far or how long a dog should walk. Frisbee offers a classic canine workout. You can play a relaxed game in your own yard or join a formal “Disc Dog” team. Participating in competitions may give you and your dog greater motivation to practice regularly. Competitions give you a goal to work toward. They give you motivation to keep exercising, while working on your training and your relationship with your pet. If your area offers hiking opportunities, you’ve got one lucky dog. Most dogs love to go out and find new smells and see other animals while spending time with their owner. Like walking, you’ll need to keep a brisk enough pace to elevate your heart rate. To offer a chance for off-leash play, find a local dog park. 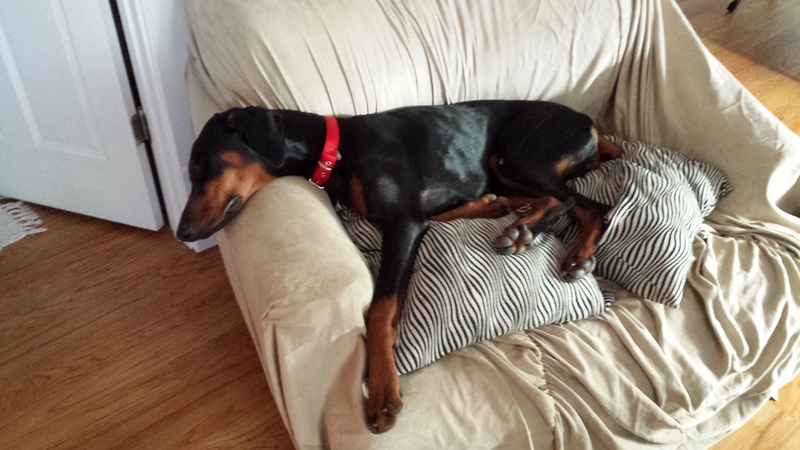 Off-leash running and playing lets your dog set his own pace, so he can burn energy, then rest when he’s tired. Other perks include the chance to socialize and the mental stimulation that comes with unfettered exploration. 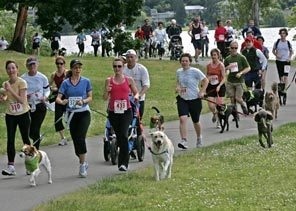 Dog owners also get a workout trying to keep up with their pets. 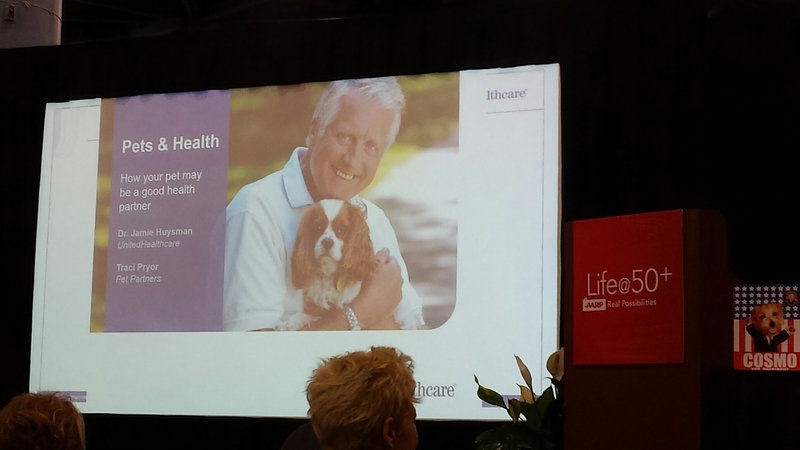 So I guess the point is ‘yes’ having a dog can improve your health in more ways than one. Since I have been researching this market I have been meeting a lot of great organizations and learning more about fitness opportunities and I have run across a lot of innovation. So it got me thinking, the platform that I initially developed for the Running Series to reward people for their accomplishments, why not do the same thing for pets. I started running later in life and I noticed several things – it’s truly a social experience and a lot of great friendships and marriages blossom as a result. Take for example a trip I made over a year ago to Nolensville Tennessee, I got to participate with a cool run club and in my last blog I got the chance to learn about Scott and his inspiration behind the club. 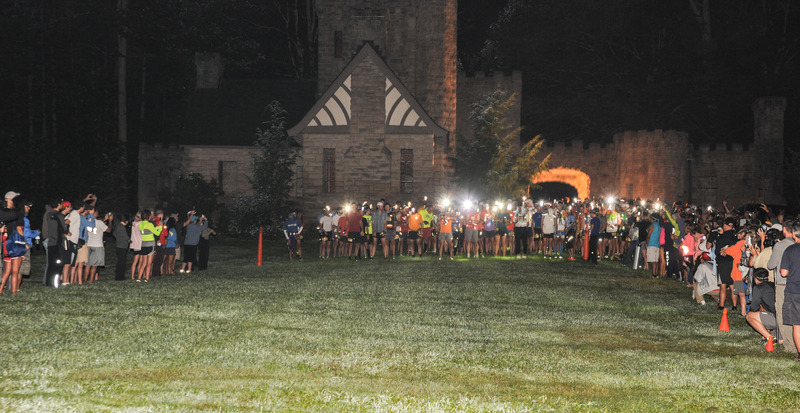 What was real cool about our conversation is how he told me his club picked a specific event to participate in annually, so I got to thinking that I would reach out to the event director to learn more about how he engages and inspires runners and clubs. 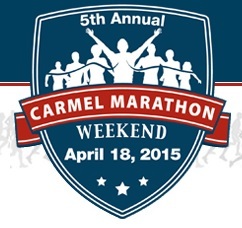 So out of the blue I called the event director Todd Oliver, who is the inspiration behind the Carmel Marathon in Indiana – I don’t know about you but I have never been to Indiana and now after talking with Todd I plan to put this on my calendar and make it a goal. Todd is from Fort Wayne Indiana and he attended Indiana University where he studied Economics then entered the Sports Marketing world starting with auto racing, then tennis and then finally into running. Todd launched an event management company seven years ago staging a variety of events including art shows, non-profit fundraisers such as go-cart auto racing for the arthritis foundation and even NFL player endorsements, now Todd only does running events. Todd went on to tell me, ‘I now run Marathons and Half Marathons as I am part of the Marathon Maniacs Club and the 50 states club. I got caught in the web of running more and I know I can’t run every day but I try to run 30-40 miles per week. 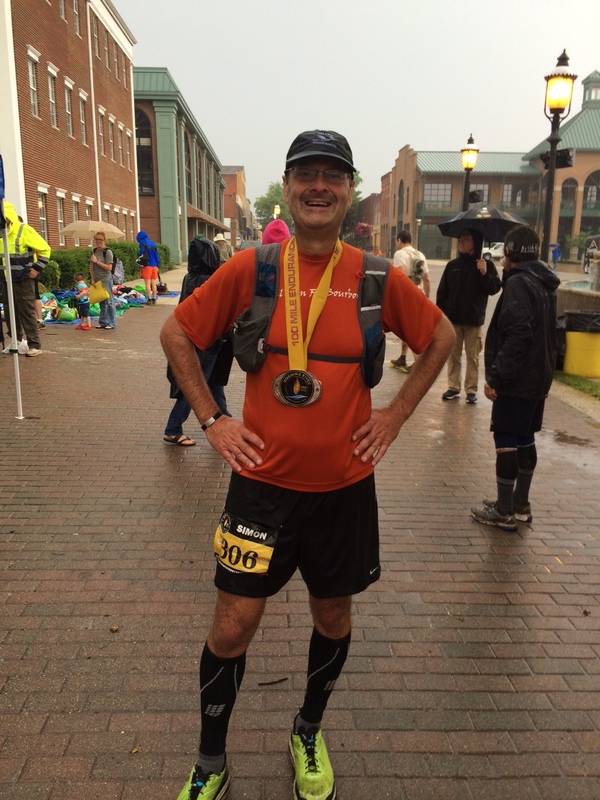 The last seven months I have run in 5 marathons and 6 half marathons. I’m 25 states in as a part of the 50 states marathon club and all my results have been under 4 hours. I know that’s a lot of running in a short period of time but its fun as I can communicate on a personal level with folks and it’s kind of marketing for me with my events’ Todd replied. ‘So in 2011 we launched the Marathon in June after the Mini Half in Indianapolis and we had 3000k runners. We lobbied with USA Track and Field and won the bid to host the 8k mens championship. In our second year we moved it to April and it’s now the 2nd largest marathon in the state. We kept the 8k distance and added a half and 5k – all events occur on the same day in fact they all have the same start,’ Todd stated. ‘The half grew by 18% and our primary Non-Profit is the Ronald McDonald house – for families that don’t have funds to stay in a hotel if kids are in the hospital’ Todd stated. So I asked Todd how has he inspired and connected with other runners and clubs, Todd said ‘With the Marathon we have worked hard to create an experience for clubs and runners. As opposed to doing discounts we do a VIP experience with a catering company. We also make care packages, welcome packages, maps to the city and we do hotel drops,’ Todd stated. Thank you Todd for sharing your story – it was comical when I initially called you on the phone I think you thought I was a salesperson of some sort – its funny how things evolve. I hope to see you soon in Indiana or Atlanta.